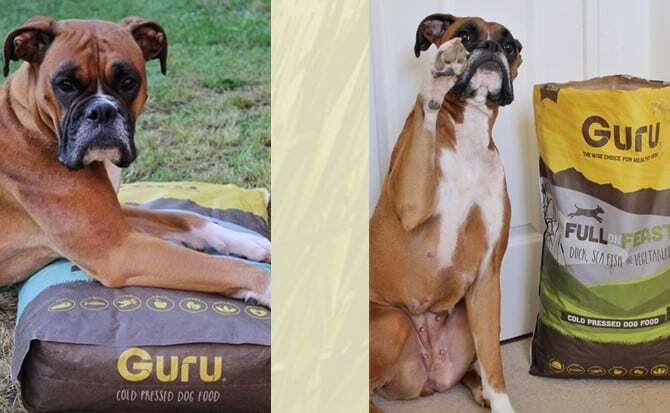 If you know me well, you’ll already know my love for Guru Pet Food and the team behind the scenes! As a Guru Geekster for exactly 7 months, I just had to share my experience with you all. After giving everyone the Ruby greeting it was time for me to have my first taste of Guru as I sampled a trip bone! – Mum said it was like watching someone eat their favourite bar of chocolate when you scoff it all until the very last piece, then savour the tiniest crumb! IT WAS THAT DELICIOUS! 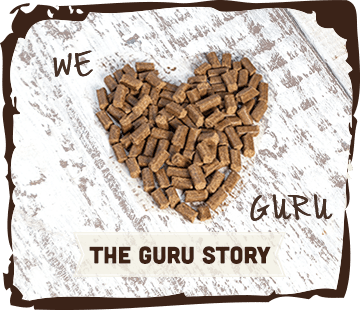 As a fussy eater I have never been able to stick to one food until some months later, mum decided to trial Guru’s cold pressed dog food as we didn’t want the fuss of raw food prep nor eating kibble either! Well.. since then I have not looked back! This food looks, smells and tastes super! How does mum know this? Because I never ever leave even a crumb and I’m up ready for breakfast even before she is! 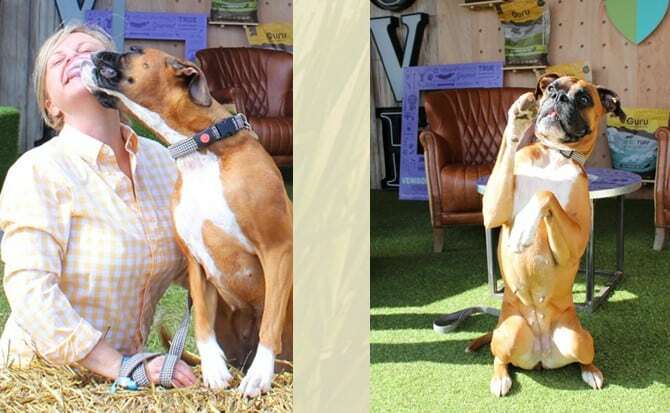 As a petite boxer, I have always been on the slim side but now with my Guru diet I am the perfect weight, my coat is shinier than ever and my humans are pleased about the minimal dog mess to pick up! 1. Super duper tasty food not only with quick delivery, but my local Countrywide store stocks it to! 2. Trip bones for life! 3. Venison Sausages are THE BEST! 5. 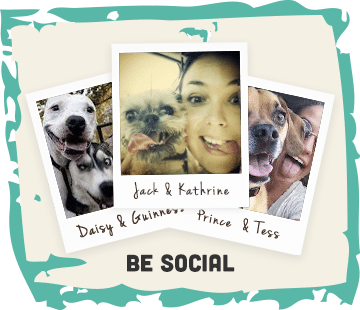 And lastly, getting to drool over photos of resident Guru boxers Duke and Gino! Thank you Guru, it’s always a paws up from me! 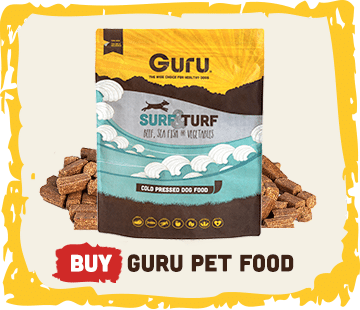 If you’d like to give Guru a go, order your sample here.